Bone Cancers, Primary and Metastatic; Soft Tissue Sarcomas; Spine Tumors; Sacral and Pelvic Tumors. Dr. Boland accepts the following list of insurance providers. Select your insurance provider to see more details. Dr. Boland is a full-time, senior member of the Orthopaedic Service, Department of Surgery at Memorial Sloan Kettering Cancer Center, where he specializes in the management of malignant and benign tumors of the bones, including those of the spine and pelvis, and in soft tissue sarcomas of the extremities. He also has special training in limb salvage surgery—that is the removal of the limb cancers while preserving a functional extremity. Together with colleagues from neurosurgery, diagnostic radiology, and radiation therapy at Memorial Sloan Kettering, he has extensive experience in the treatment of primary and metastatic tumors of the spine. Over the years, he has developed a special interest in the management of tumors of the sacrum. Dr. Boland is involved in extensive research activities, including on-going clinical research in sacral tumors and in the assessment of quality of life in patients with metastatic bone cancer. He has also authored and co-authored chapters and scientific papers on surgery for tumors of the extremities and the spine. 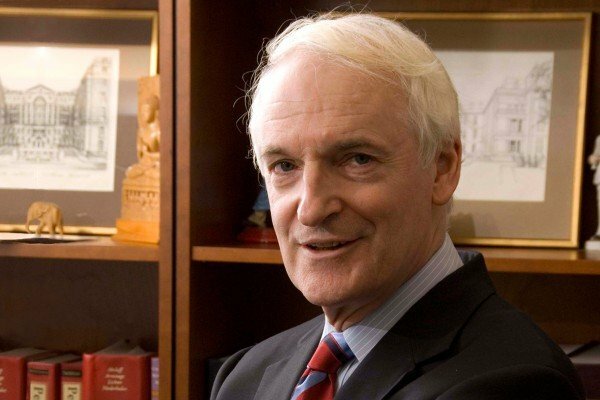 Dr. Boland is a Fellow of the American College of Surgeons, a Fellow of the Royal College of Surgeons in England, and a Fellow of the Royal College of Surgeons in Ireland. “Physical rehabilitation.” Tunkel RS, Lachmann E, Boland PJ, Ho ML. In: Clinical Oncology. 2nd ed. Abeloff MD, Armitage JO, Lichter AS, Niederhuber JE, eds. Philadelphia: Churchill Livingstone; 2000: 2771-2817. “Single-stage posterolateral transpedicle approach with circumferential decompression and instrumentation for spinal metastases.” Bilsky MH, Vitaz T, Boland PJ. In: Cancer in the Spine: Comprehensive Care. 1st ed. McLain RF, Markman M, Bukowski RM, et al., eds. Totowa, NJ: Humana Press; 2006: 295-302. “Benign fibrous tumors.” Boland PJ. In: Orthopaedic Knowledge Update: Musculoskeletal Tumors 2. 2nd ed. Schwartz HS, ed. Rosemont, IL: American Association of Orthopaedic Surgeons; 2007: 251-255. “Extended pelvic resection.” Diaz JP, Boland PJ, Chi DS, Abu-Rustum N. In: Atlas of Procedures in Gynecologic Oncology. 2nd ed. Levine D, Barakat R, Abu-Rustum NR, eds. London, UK: Informa Healthcare; 2008: 137-144. “Intervertebral disk structure, composition, and mechanical function.” Joseph SA Jr, Boland PJ. In: Oncology and Basic Science (Orthopaedic Surgery Essentials). Damron TA, ed. Philadelphia: Lippincott Williams & Wilkins; 2008: 452-462. “Evaluation and treatment of primary bone tumors.” O’Toole GC, Boland PJ. In: Cancer Rehabilitation: Principles and Practice. 1st ed. Stubblefield MD, O’Dell MW, eds. New York, NY: Demos Medical Publishing; 2009: 321-330. “Bone metastasis.” O’Toole GC, Boland PJ, Herklotz M. In: Cancer Rehabilitation: Principles and Practice. 1st ed. Stubblefield MD, O’Dell MW, eds. New York, NY: Demos Medical Publishing; 2009: 773-782. “Evaluation and treatment of primary bone tumors.” O’Toole GC, Boland PJ. In: Synopsis of Clinical Oncology. 1st ed. Stubblefield MD, O’Dell MW, eds. New York, NY: Demos Medical Publishing; 2010: 313-320. “Miscellaneous malignant primary bone tumors.” McKeown D, Boland PJ. In: Orthopaedic Knowledge Update: Musculoskeletal Tumors. 3rd ed. Biermann SJ, ed. Rosemont, Ill: American Academy of Orthopaedic Surgeons; 2013. Visit PubMed for a full listing of Dr. Boland’s journal articles. Pubmed is an online index of research papers and other articles from the US National Library of Medicine and the National Institutes of Health.